Our One-Day Junior Golf Clinic is a great way to introduce a child to the great game of golf. This clinic will be held on Sunday, June 3rd from 2:00 – 4:00 p.m. Children ages 5 – 16 are welcome to participate and learn all about golf! Junior camps are held each Thursday morning at Mallard Creek. The beginning junior golf camp is from 9:00 – 10:30 a.m. and the intermediate junior golf camp is from 11:00 a.m. – 12:30 p.m. The camp is 5 weeks long and covers everything from etiquette to swing fundamentals and more. PGA Junior League Golf is a fun way for young golfers to build their golf skills within a team based league that is fun, exciting and inclusive. All PGA Junior League golf players will participate in 5 practices, 5 matches and receive professional instruction. Included in the cost are golf course fees, league fees, 2 team golf shirts a bag tag and more. Our High School Golf Development Program is designed for young men and ladies who play or are hoping to play high school golf. This is a great program for high school golfers who plan to take their game and upcoming season seriously. Players will take part in practices, matches and more. And, each player will receive unlimited range balls from April – July. When it comes to golf and golf instruction in the Greater Cleveland area, there are almost no options for men to participate in golf clinics throughout the season. So, we have fixed that for the 2018 season here at Mallard Creek! With 3 clinics scheduled throughout the season, you and your golfing friends can participate in any or all of these clinics to get your swing and game moving in the right direction. Golf is a game of a lifetime and our Ladies Golf Clinics are a great way to help you enjoy it even more. There are two levels: one for beginners and one for players with an intermediate skill level. Also, there is a Summer Fix option for any ladies to keep improving even after the clinic has ended. Golf is an activity that spouses can do together. Why not learn and improve together? We have designed this program to be beneficial for everyone, even if there are different playing abilities. Learn how to become a coach to your spouse. What better way to enjoy golf than playing with the one you love? How would you like to have a golf professional look at your swing and give you a quick evaluation at no cost to you? Well, we have made that possible! Throughout the season, we have scheduled specific times where our Golf Pros will be at the range to give you a free evaluation and some helpful tips for improvement. We want to introduce 1,000 kids to the game of golf…for FREE! Will you help us? We’ll provide Junior golf clubs for your child’s use during their time here at no charge! And we’ll provide the range balls: one bucket for an introduction, and 3 more at no cost to you. 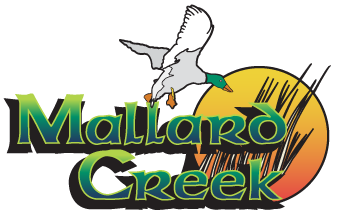 Our golf teaching professionals here at Mallard Creek offer years of experience and have a long track record of success with their students. Trummie Hudson (USGTF) has been teaching at Mallard Creek since 2009. And Jim Wise (PGA) has been with us since 2013, following 23-years as the Head Professional at Columbia Hills Golf & Swim Club.